Level One Bank is a full service commercial and consumer bank, headquartered in Farmington Hills, Michigan. Level One was established in 2007 by a team of local business leaders and banking professionals with a vision to provide a better way to bank for Michigan businesses and families. As a locally owned and operated bank, our approach is consultative, with individual attention and customized financial solutions. Level One Bank offers you the sophistication of a big bank, the heart of a community bank, and the spirit of an entrepreneur. When Michigan Mutual was founded in 1992, our business philosophy centered on a commitment to outstanding customer service, consistency in the loan process from start to finish for each and every customer and creating strong, vibrant communities. We owe our great success to the hard work of our dedicated people. Without our people delivering a smooth mortgage process for our customers daily, we wouldn’t earn the robust amount of referrals that have catapulted our company to success. We stand by our proven track record of exploring exciting new avenues that impact our customers without compromising our vision and values. We have optimism and energy that you deserve in a trusted and reliable lending partner. We are confident that we will exceed your expectations. You can rest assured that Michigan Mutual will deliver and execute on our promises. Mortgage Center has been serving Credit Union members and mortgage borrowers since 1990. We have an amazing team that are experienced in Mortgage lending and servicing. 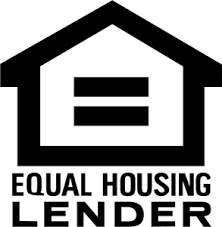 Being a full mortgage lender, Mortgage Center can offer loans that other lenders cannot. We specialize in residential real estate financing - mortgages for purchases, refinances, lines of credit, as well as credit assistance for those with challenged credit. Home buyers and home owners will get the personalized attention every single one of them deserves. We build relationships for life with our clients and Realtors. Our clients look to us for advice and assistance in every aspect of home financing and beyond. Our Realtors can count on us to provide great communication, education and support to deliver a smooth closing. Summit funding continues to build business on integrity and trust. We promise our clients clear and consistent communication throughout the home buying process. We offer outstanding customer service, timely closings and 100% commitment to delivering an outstanding home lending experience. The mortgage process doesn’t have to be difficult. If you’re an informed consumer working with an experienced mortgage lender, purchasing a home or refinancing your existing home can be a great experience. Call me today and ask me about today’s mortgage interest rates! United Shore is one of the top 5 Lenders in the country. We work with over 6000 clients and specialize in building partnerships that focus on long term relationships. Our culture is unique and we pride ourselves in being the # 1 place to work. If you are seeking a long term career that is diverse and challanging, you need to connect with us! We provide residential financing to current homeowners and prospective homeowners. Thank you for considering Wells Fargo for your home financing. As local mortgage professionals working in our community, we understand area lending guidelines and draw on our resources as the nation's leading retail mortgage lender. As your Wells Fargo Home Mortgage Consultants, we'll work with you every step of the way. Start the financing process with a free consultation.